Please come and visit us and say hello to some of our Blue Point Stables, LLC riding lesson horses depicted below, several of which not only are used as GREAT lesson horses but are available for lease as well. Most of the horses below have been with us for years. 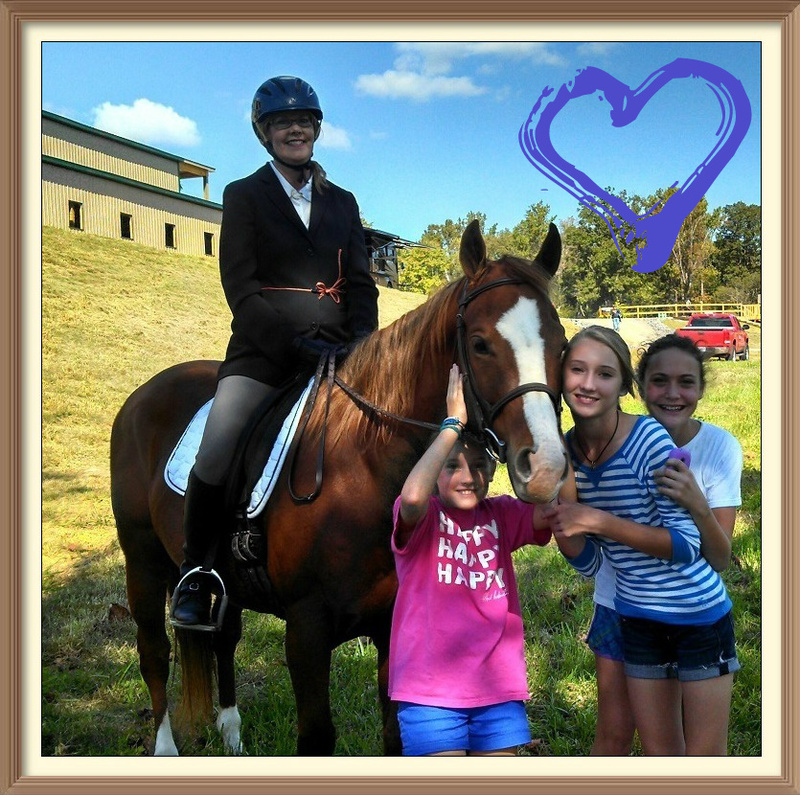 With Blue Point Stables being so close to Knoxville, Farragut and other surrounding areas, we now boast a large Riding Lesson and Summer Camp Clientele base. We're confident that one of the very important reasons that so many continue to return over and over again; is because of our fantastic horses. Really, it is very difficult to visit Blue Point Stables without picking one of our horses to fall head-over-heals in love with. We've listed these majestic animals in alphabetical order and not necessarily in order of abilities and stature. We listed them this way, so as to not offend any of the horses. Our horses all have feelings too, you know. Leo is currently the senior lesson horse at Blue Point Stables. He is 23 years young and loves his job! He is registered with the American Quarter Horse Association and has been a part of the BPS lesson program for many years. Leo also loves participating in the Birthday Parties that we host here at BPS. He enjoys treats of all kinds with apples and peppermints being his favorites! For Desperado is registered with the United States Mangalarga Marchador Association. His dam was one of the first Mangalarga Marchadors imported to the United States from Brazil. Desperado spent many years as a foundation sire for the breed in the United States. Today he is retired from breeding and enjoys being pampered by the clients at BPS. The following is what Wikipedia says about the breed. Supporters of the Mangalarga Marchadors "value them for their carriage, beauty and intelligence, good disposition and consider them easily trained for almost any discipline. The Marchador horses are known for having a smooth stable walk, canter and gallop as well as two natural ambling gaits: the diagonal batida and the lateral picada. They are valued for their endurance, versatility as stock horses, trail and pleasure riding animals as well as their ability to be trained in dressage or jumping." Please let us mention that Desperado is just plain out-right FUN to ride! As an A.Q.H.A. registered Quarter Horse born in 1994, for many years Dee Dee was a regular fixture on the Tennessee Quarter Horse Association show circuit. Throughout her show career she has been a state champion many times and has attended the All-American Quarter Horse Congress in Columbus, Ohio. Dee Dee has taken many children for handler led rides at many of the Birthday Parties hosted here at BPS. Today, Dee Dee is the "First Lady" of the BPS lesson horse team and loves nothing more than getting a peppermint at the end of a lesson! 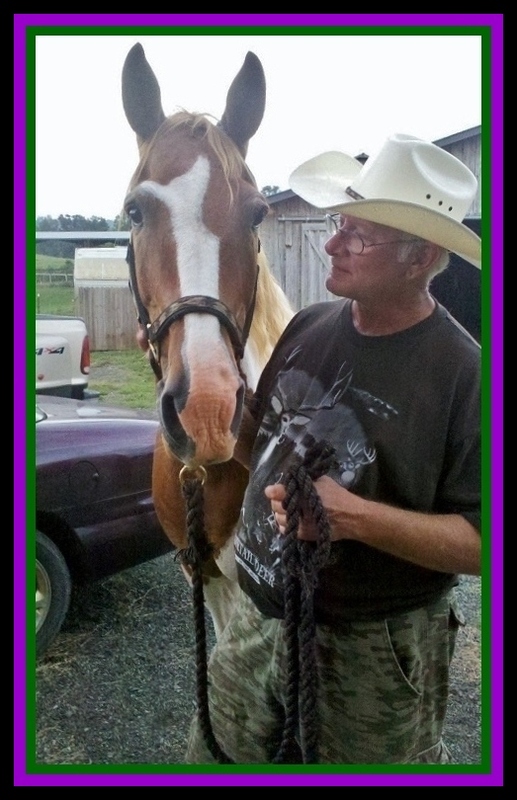 Hank is a Sorrel/White, Spotted Saddle Horse. And, he is loved by sooo many!!! Because Hank is a "Gaited-Horse", he's such a smooth ride. Hank was foaled in 1993. He is young at heart and full of energy. 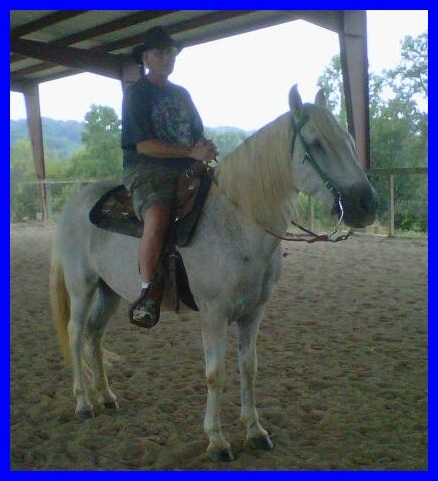 Hank has been ridden by young riders as well as older riders. He likes riders that have had some experience and know what their doing. Hank tends to offer a little spirit and challenge when he's riding in our lessons. He thinks that he has a "Need-for-speed". Hank usually isn't for the beginning rider. However, those with intermediate skills usually enjoy riding Hank. He's not always a "yes-man" so, he tends to offer challenges for the skills of his rider. Something that I think that we might should mention; Hank LOVES attention. Levi is simply amazing. Levi is a huge favorite of many riders. 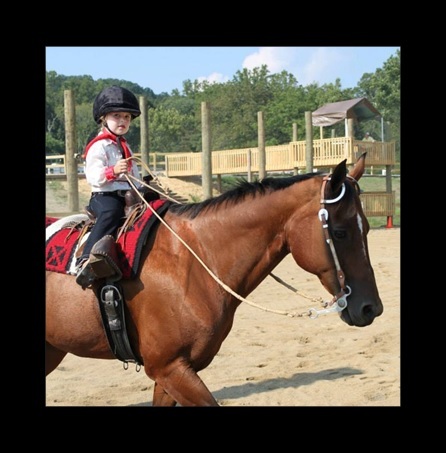 Levi has been a member of the Blue Point Stables family of horses for most of his life but, has only recently joined our team of Lesson Horses. Levi is an exceptionally well bred American Quarter Horse and spent the first part of his career as a Blue Point Stables show horse and breeding stallion. He is now a huge favorite as a lesson horse. Over the years, Levi has been leased off and on by clients that loved him dearly. To sum it all up, Levi is considered by many as simply a "Sweet-Heart" of a horse. 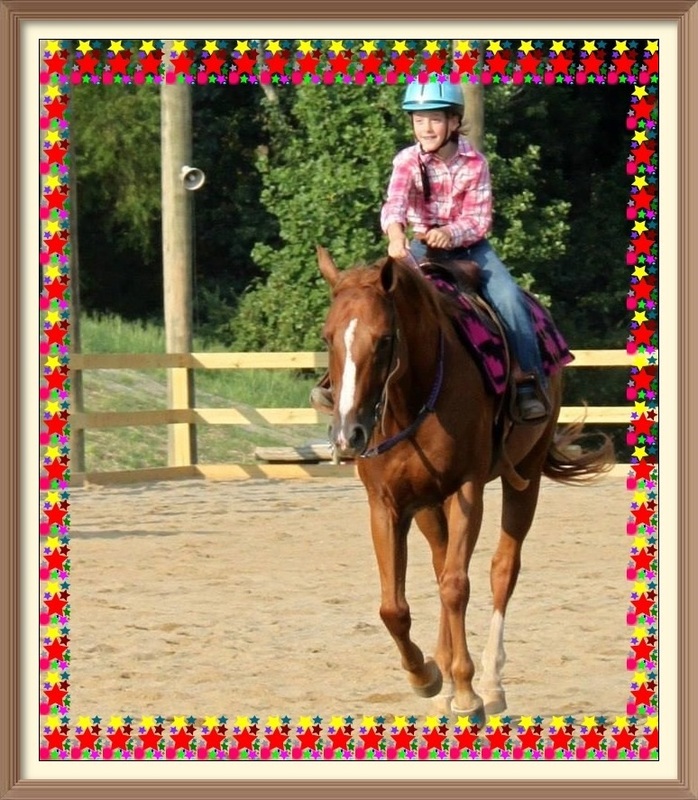 Born in 2006 in Texas, Lexi was destined for greatness in the American Quarter Horse Show arena. Unfortunately, a tragic accident with a fence, during a vicious storm in 2010, left her unable to compete at the top levels of Western Pleasure. However, her injury didn't hold Lexi back. She recovered better than was expected and showed us all an amazing spirit to heal and move forward. Lexi continued to heal well enough to compete in small local area shows. She is also a high favorite of many of our riders. And, from time to time, Lexi has been leased by some clients that absolutely loved her. Today, Lexi lives a very happy life with our other Blue Point Stables lesson horses, introducing new clients to the joys of horseback riding. Sparkles is a registered World Class – Miniature Show Pony, who was foaled in January, 1995. 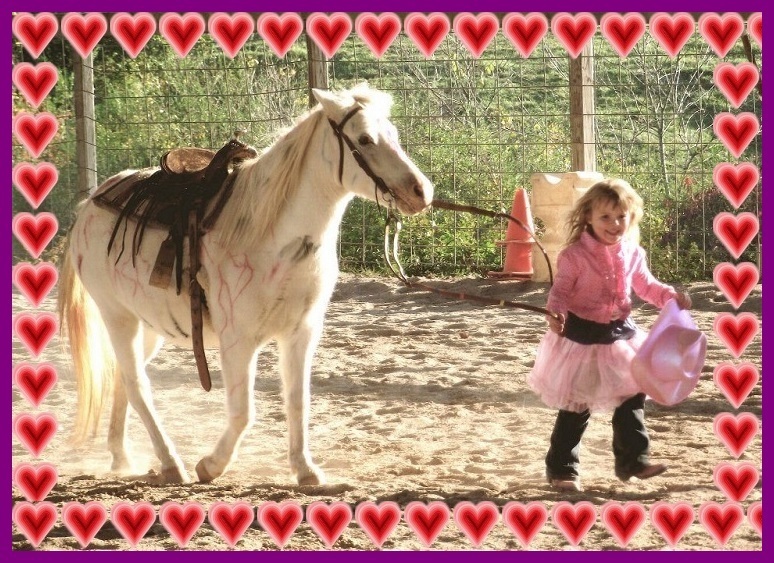 Sparkles has taught many, new and young, riders some of the ins-and-outs of riding. And, Sparkles has proudly marched in various Holiday Parades over the years. Sparkles joined the Blue Point Stables family in 2008, when Brandy saw her at an auction and couldn't resist bringing her home. 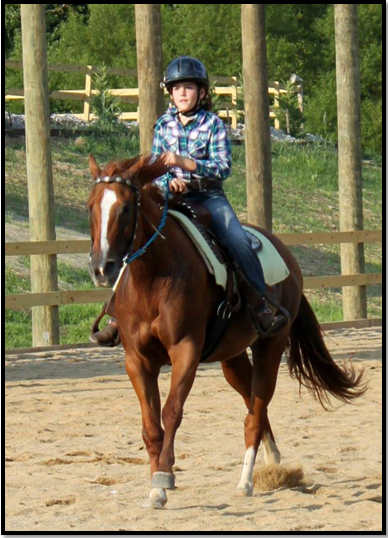 She is still being ridden by beginner and intermediate riders alike. And of course, Sparkles continues to be a High Favorite at the many Birthday Parties that are hosted at Blue Point Stables. As soon as you get a moment, please drop by and say Hello to "Sparkles". 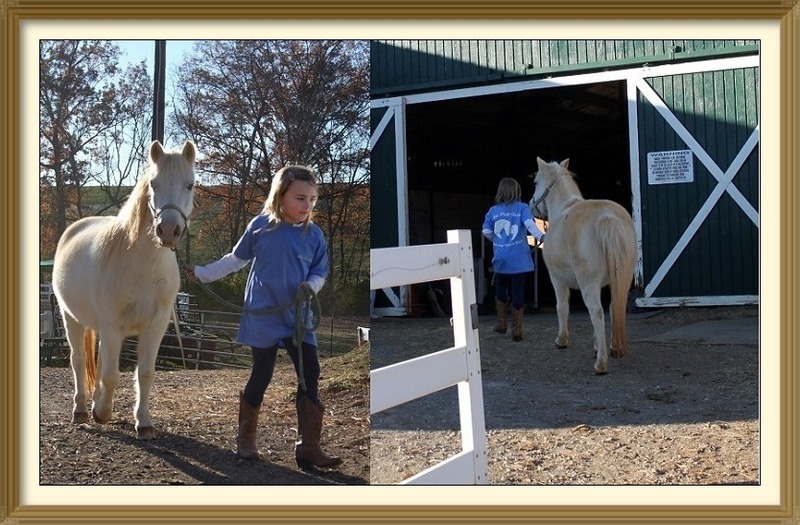 Tuff has been with the Blue Point Stables program for years. 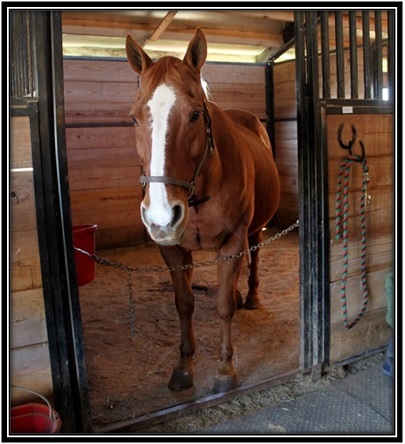 Around our stables, he is often called "Little Tuff" because one of our Boarders has a slightly "larger" horse whom also has a barn-name of "Tuff" (and sometimes referred to as "Big Tuff"). Born in 2002, Tuff is registered with the American Quarter Horse Association. Tuff is one of the most versatile horses here at BPS. He loves to walk, trot, canter, jump, run the barrels as well as taking young children and adults for their very first rides. Tuff loves taking children for handler led rides at many of the Birthday Parties hosted here at BPS. Tuff is yet another high favorite of many of our clients. Tuff''s treat-of-choice is carrots. He loves 'em.